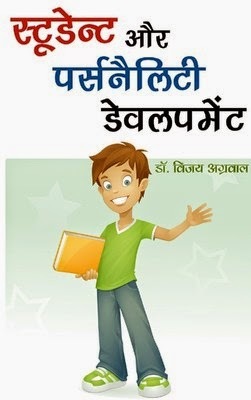 Student Aur Personality Development (Hindi) is an authoritative and comprehensive guide for students to be able to develop a charming and magnetic personality. In this highly competitive environment it is not possible to become successful only with help of good grades and flawless academic career. It is very important to hone your personality to stand out in the crowd. Through this book bestselling author, Dr. Vijay Agrawal, provides invaluable tips on how to improve your body language, communication skills and presentation skills. This book is essential for students to build a strong and magnetic personality. Dr. Vijay Agrawal is a prolific author and an eminent orator. He completed his MA and PhD after which he qualified for the Indian Civil Services in 1983. He has held several important and senior positions in Government of India. He has also been associated with various educational institutions of the country in capacities ranging from advisor to guest faculty. Some of the other books authored by him include Sada Safal Hanuman and Samay Aapki Mutthi Mein, among others.